First of all, let’s get this out of the way: this season’s titles come from the fiery-badass poem “Protest” by Etta Wheeler Wilcox, which y’all should read. Really, it’s short. Done? Cool, let’s get on with the show. This week’s premiere picked up pretty much right where the Season 4 finale left off: Sarah injured, Cosima reunited with Delphine, and everything happening so much with Alison, Donnie, and Helena. For recapping clarity’s sake, let’s go clone-by-clone. Sarah spends most of the episode evading capture by Neolutionist guards in the woods on the island. She is briefly attacked by a feral-seeming man also hiding out in the woods, but escapes and eventually makes contact with Cosima. Cosima refuses to leave with her, however, and when Sarah sneaks out to the island’s boathouse to flee, she’s captured by Rachel. Rachel has united with the seemingly-immortal founder of Neolutionism, P. T. Westmoreland, who apparently wants the Leda clones alive. Cosima is staying/being kept in a settlement called Revival, lorded over by none other than P. T. himself. Revival is like, a hippie Stepford eugenicist compound, where everyone is loyal to fearless leader Westmoreland and everything is dedicated to the Neolutionist cause. It’s also where Delphine has been this whole time, but for reasons that are either “the plot commandeth” or “her contract was only for a guest appearance”, their big gay reunion is cut short so Delphine can fly off to serve the Neo cause elsewhere. Cosima spends most of the episode being tailed by a young woman named Mud who acts as both a guard and an orientation counselor of sorts, but she eventually slips her guard and heads to the town clinic. Delphine had secreted Cosima’s treatment there before leaving, but when the time comes Cosima finds herself unable to inject it. Rachel appears and, per Westmoreland’s edict to keep the clones alive, helps Cosima administer the shot. Alison and Donnie have been roughing it with Helena, but Alison is not content to sit in the woods while her sisters are in trouble. However, as they’re packing to leave, they’re set upon by Neolutionist agents. Alison is black-bagged and dragged away as Donnie watches from hiding. He escapes, only to be caught at his car, but a wild Helena appears from the woods and counterattacks. In the struggle, however, she gets stabbed in her hugely pregnant stomach by a sharp stick, and Donnie heaves her into the car to rush her to the hospital. Probably my biggest concern coming out of the episode (from a writing standpoint; obviously I am peak concerned for Helena and her bebbes) is Westmoreland’s role in the whole endeavor. Cosima stays in Revival not because she’s too ill to leave, but because her science brain is too fascinated by what Westmoreland is trying to do to be able to abandon it without learning more. Rachel has finally apparently consolidated the various organizations that have chased the clones for ages under her thumb—only to apparently be under the thumb of old man P. T. now. Rachel reiterates multiple times that her actions are rooted in what Westmoreland wants her to do, rather than directed by her own agency. We’ve talked before about the strange need to have patriarchal male oversight over female actions, and I hope that this is not what’s happening again here. Tatiana Maslany herself has said that this season of the show is about challenging the patriarchy, and lowkey acknowledges that Rachel is playing the role she needs to get the power she wants. I hope that the show leans into the process of taking him down for good, and based on commentary from the creators, the odds of that seem good (warning for autoplay at the link). Since the show has always focused on themes of women’s bodily autonomy and specifically women rejecting others’ claims to their own bodies, it’s not like the show hasn’t always been challenging the patriarchy. However, by giving the patriarchy a physical form—Tatiana refers to Westmoreland specifically as “the patriarch” in the article linked above—the show is taking an interesting step. On one hand, it gives them an actual, physical enemy to rail against. On the other hand, it could oversimplify the idea of challenging the patriarchy by personifying it into a single figure. Defeating the real-world patriarchy is about a triumph of intersectional and progressive ideals over hateful and regressive ones. As much as the current American government may look like a who’s who of villains, there’s no Scott Pilgrim-esque tournament of evil patriarchs whose defeat will allow feminism to reign unchecked. It is early in the season, though, so I’m willing to wait and see how this develops. Another issue that we’ve come back to over and over again as we’ve reviewed this show is that of race, and if the premiere is anything to go by, it may be time to resign ourselves to the sad fact that in Orphan Black, “the few who dare” are going to consistently be white people. Evie Cho is long gone post-humiliation by Rachel. While there are people of color in Revival, the few we spend time with consistently—the girl Mud and old man Westmoreland—are white. Art’s obnoxious new partner is a white woman, who, it’s quickly revealed, is yet another Neo plant (alongside being kind of a jackass by nature). She threatens Art both verbally and at gunpoint in order to get Alison, Donnie, and Helena’s location out of him. Rachel has a new Black henchman who appears briefly to threaten Felix, but a henchman is all he is, and he doesn’t exactly sparkle as a character the way some henches do (thinking in particular of Shades from Luke Cage). The fifth and final season is being billed as “The Final Trip”. While the show continues to have its issues, I am—to paraphrase mine and Luce’s post-ep yelling sesh—both psyched and terrified to find out where it goes next. 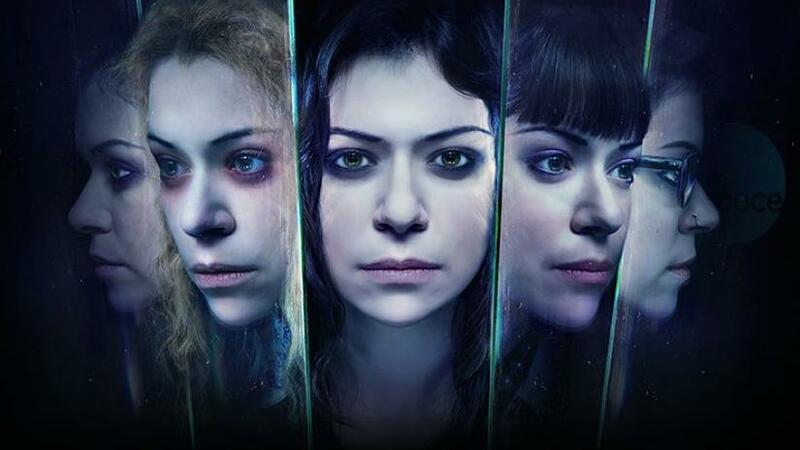 This entry was posted in Orphan Black, Reviews, Science Fiction, tv show and tagged alison hendrix, cosima niehaus, donnie hendrix, Helena, orphan black, p. t. westmoreland, patriarchy, rachel duncan, racial representation, sarah manning, the few who dare by Lady Saika. Bookmark the permalink.